An Apple a Day – Butter, Baking, and Bacon! If we could all eat our apples a day in this fashion, I am almost sure we’d get more than the daily requirement! This apple pie started with a flaky, buttery crust. It’s filled with a blend of tart and sweet apples like Granny Smith, Michigan, Honeycrisp, and Jonagolds. The apples were united in culinary matrimony with Makara cinnamon, brown sugar, nutmeg, lemon zest, vanilla, a little shaving of sharp cheddar, and a pinch of ginger. The topping is a dutch crumble of real butter, flour, sugar, brown sugar, and cinnamon. This apple pie is simply divine when warm with a scoop of vanilla ice cream and a drizzle of caramel! Previous Post Twist and Shout! Next Post Chocolate and Teal would be great wedding colors……. Thanks for the wonderful info about the apple pie.I love to take one daily after reading your info. 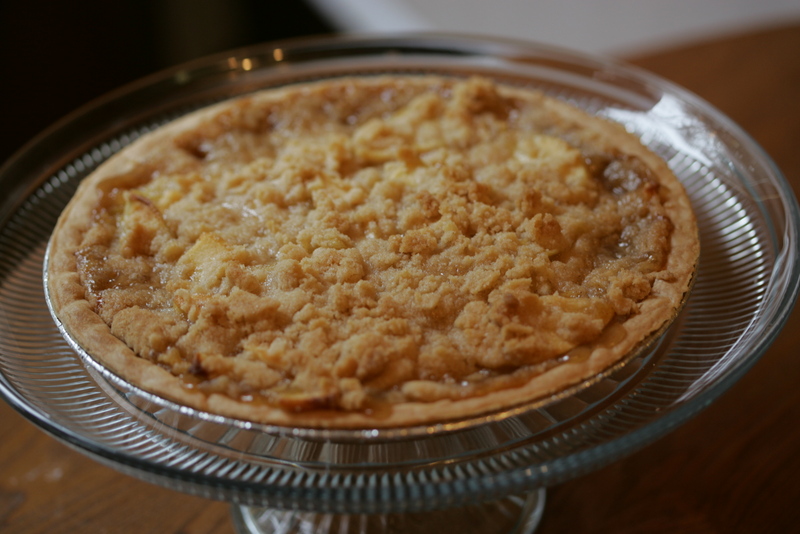 This article presents very good information about an apple pie. I think that an apple pie is a good source of nutrition and a very healthy food.